Food Costs > How Much Do Coffee Beans Cost? How Much Do Coffee Beans Cost? The coffee bean is not actually a bean, but the seed of the coffee plant. Even though these coffee beans are referred to as a seed, they are called “beans” because of the resemblance to a true bean definition. These beans that are brewed are actually the processed and roasted seed, also known as a coffee cherry. How much do coffee beans cost per pound? The price for coffee beans depends on the type of coffee bean, where it was harvested, where you plan on purchasing it and the brand. Regardless of the type, most coffee beans have a higher price than their pre-processed counterparts. According to the U.S. Department of Labor, a single bag of coffee beans can cost an average of $5 per pound. While this is an average, it isn’t uncommon to see beans for as little as $2 per pound to more than $18 per pound. Refer to our table below to see what popular coffee bean brands may cost at your local retailer. This price can vary depending on the marketing conditions. BargainBabe.com talked about this very thing, and she stated she was surprised at the large margins, with beans ranging anywhere from as little as $2.50 per pound for a generic label to as much as $18 per pound for a fair trade coffee bean harvested from Ethiopia. In the end, according to her calculation, she was able to find out that making coffee at home, from beans, would cost about $0.28 per cup if the beans retailed for $15 per pound. The most popular coffee beans on Amazon.com, for instance, retail for $.030 to more than $1.25 per ounce. Coffee beans, as explained above, are seeds of the coffee fruit. During the processing process, the fruit part will be stripped away, exposing the seed, which will be left to dry. Upon drying, these beans can then be roasted, ranging anywhere from a light to dark roast. 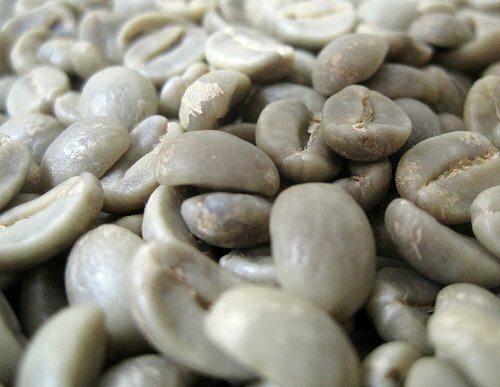 While most coffee beans can be roasted, you can eat them raw as long as it’s in moderation. When processed, coffee beans will become diluted when mixed with water or milk; however, when eating, you will get the full concentrated effects. Grinders, in order to process your beans at home, can retail for $15 to $125, depending on the brand. However, a grinder isn’t necessary if you plan on grinding at the store. Some online retailers, depending on which retailer you purchase from, may charge a shipping fee. Coffee beans, on average, can last at least six months once they are opened; however, if you place a package, sealed in an airtight container, it could last up to two years. According to the Black Bear Micro Roastery, you will need six teaspoons, two tablespoons or 1/8 of a cup of coffee beans if you want to brew one six-ounce cup of coffee. In one pound of beans, you should be able to brew 48 six-ounce cups of coffee. Buying in bulk/wholesale can often save 10 to 30 percent, depending on how much you purchase at once. Usually, you won’t see savings until you purchase five to 10 pounds or more.